Redlightcenter events: SlaveClub Auctions - Sundays, 1pm EST! SlaveClub Auctions - Sundays, 1pm EST! Can't say more than what's in the title. 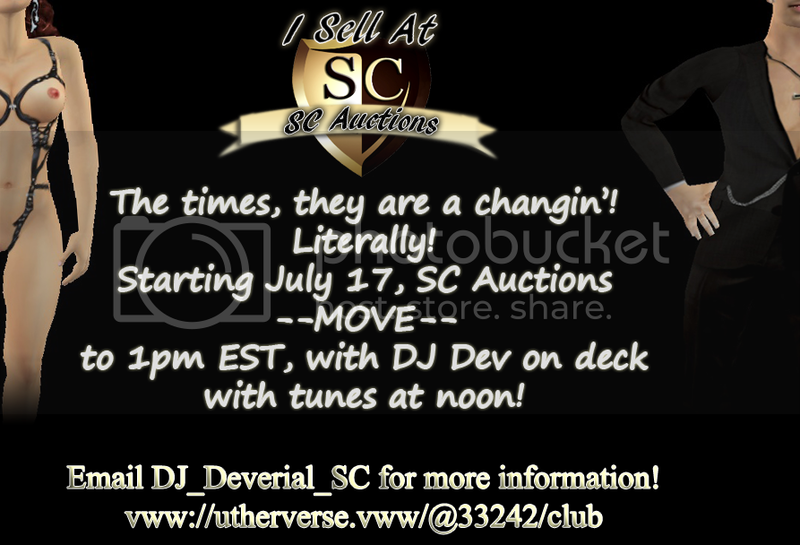 DJ Dev on the mic at Noon, with auction goodness at 1. We've got layouts, we've got props, and clothes - so many clothes. Always happy to take offers new and old, so bring what you've got and have a go! We don't use gimics, don't use special promotions or bribes. Just great offers from amazing designers.